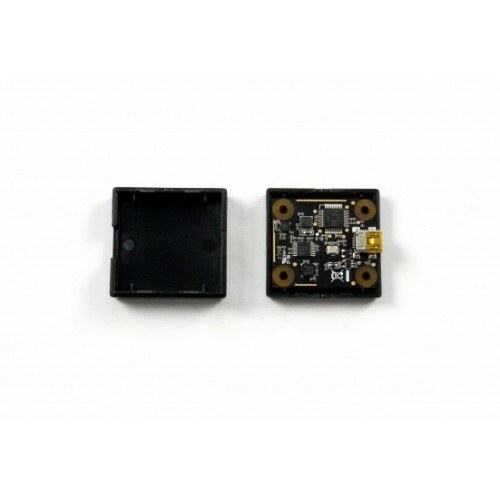 Note: The 1043_1B has the same functionality as the 1043_0B, except that it has a different high-precision accelerometer chip. 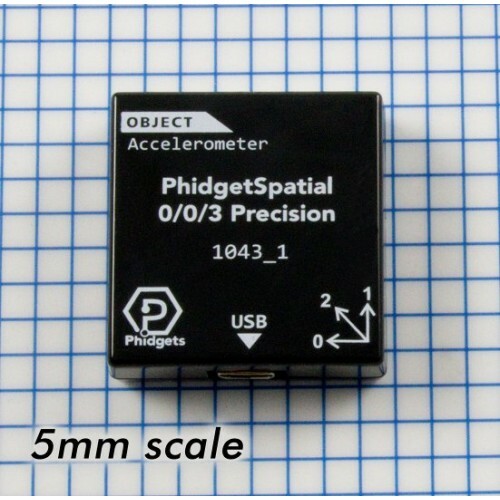 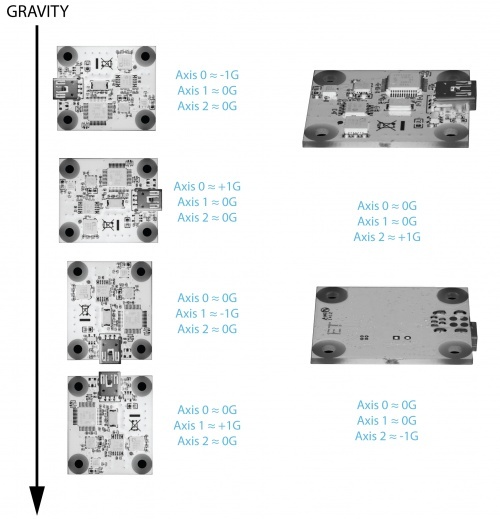 The PhidgetSpatial Precision 0/0/3 is a 3-axis accelerometer that can measure up to ±8g of acceleration in each axis, and has high precision when measuring acceleration within ±2g. 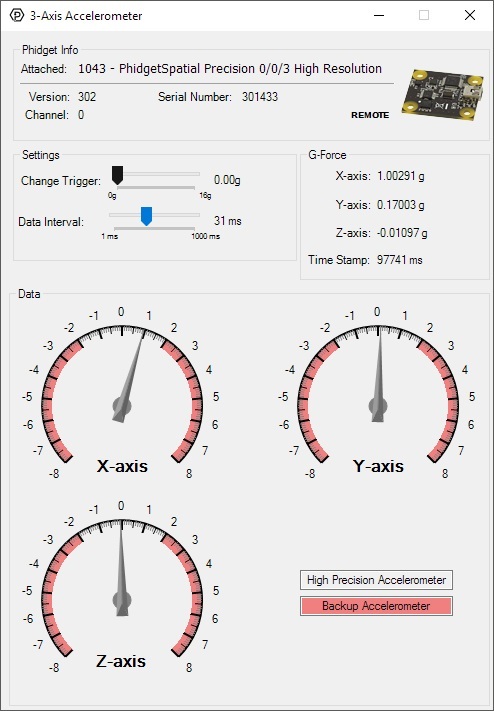 The transition from high precision to low precision mode and back is completely seamless and automatic. 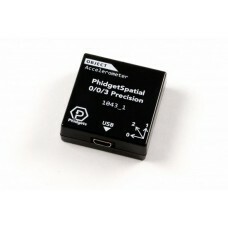 If precision is not an important factor for your application, consider the 1041 - PhidgetSpatial 0/0/3 instead.